HII! And WELCOME BACK to Meet The Authors! Since February (when the last Meet The Authors Was), I've had a ton of submissions, a whole set of semester finals and two sets of mid terms, I worked at an advertising agency for a month and went out of the country on vacation. It's been a LOT and I only just had time last month to contact some AMAZING Authors for a week long Meet The Authors feature. 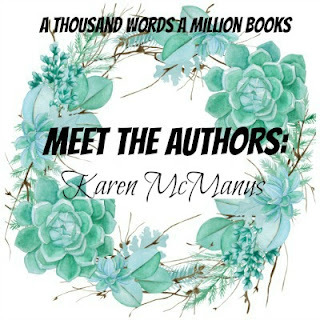 There are a few giveaways coming up over the next week along with some BRILLIANT authors who've agreed to come onto my blog, and I do hope you all have fun (virtually) meeting them and get to know a little more about them and their books! 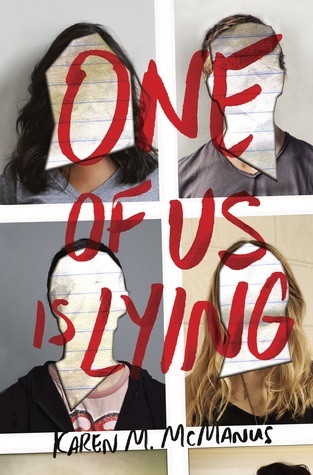 For day one, please do welcome the WONDERFULLY TALENTED Debut Author, Karen McManus who wrote the YA Mysters, One Of Us Is Lying. Music is an essential part of writing for me. While I was drafting One of Us Is Lying, I used certain songs to get into the overall mood of the book, and—probably more importantly—into the minds of the characters. Now that the book is out in the world, I feel a twinge of nostalgia every I hear one of “my” songs, because they remind me of that intense drafting period when the Bayview Four were living inside my head. 1. Don’t You Forget About Me by Simple Minds. This one’s pretty obvious, since The Breakfast Club was the original inspiration for the book. Also, the lyrics “Going to take you apart/I’ll put us back together at heart” sum up one of the book’s major themes. 2. Kids by MGMT. There’s a scene in the book when a clip of the four main characters set to this song goes viral. People have asked me why I picked this song, and it’s basically because I could picture it. Four kids accused of murder walking in slo-mo against the backdrop of trippy music with dark undertones just felt right. 4. Maybe I’m Right by Pete Yorn. This is Cooper’s song, and for this one, the lyrics don’t really matter. It’s more the yearning, searching tone of the music that got to me while I was writing. 5. Secrets by One Republic was Simon’s song, which is probably self-explanatory. 6. Breathe (2 AM) by Anna Nalick. I had this song on constant repeat when I wrote scenes with Nate and Bronwyn. Bronwyn even borrows part of a lyric at one point to describe Nate. 7. First, by Cold War Kids. This applied to all the main characters, particularly these lines: “There comes a time/In a short life/Turn it around, get a rewrite/Call it a dark, night of the soul/Ticking of clocks, gravity’s pull”.